When faced with an abundance of summer produce, you want to preserve the fruit, vegetables and herbs to use the rest of the year. 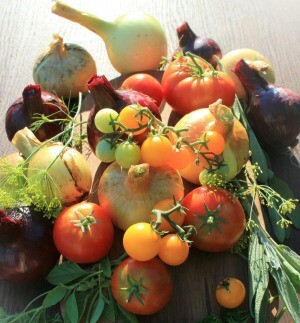 This is a guide about preserving summer's bounty. I don't know about you but I love shopping at the farmer's market. I have a small garden, but it is not enough to feed the seven people who live in my house so I do my quantity shopping at the farmer's market. My mother did not can or preserve food in any way so I had to learn this on my own trial and error. I found that freezing food was easier for me and since I am always feeding a crowd around here that it also was the most economical for me. I also dehydrate vegetables to use in soups and stews through the winter. 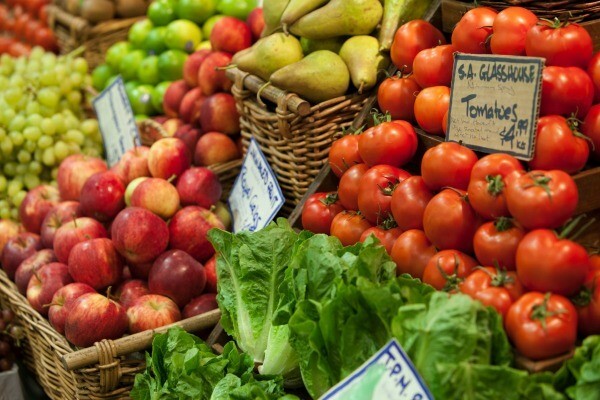 This year, Miller's Farm has been having some great sales at the market, I can get about 50-60 pounds of produce organically grown for around $15.00. So for all the newbies out there that need information on how to preserve some of summer's bounty, I thought I would share some of my all time favorite recipes. These recipes freeze well and can be used for a variety of things. Also I buy things like mushrooms and celery, two things that I cannot get at the market when they are on sale and dehydrate them for use all year long. All measurements are approximate, as some people may not use salt or the specific spice that I do. The best way to do these recipes is to set aside a Saturday and cook all day. I always freeze in the freezer Ziploc bags, as they will lie flat in my freezer so they take up less room. Boil water and quickly dunk the tomatoes in and leave just long enough for the skins to crack. Peel tomatoes. In skillet saute' the onions and garlic. Put tomatoes in a large heavy pot or Dutch oven and squish to make chunks add the onions and garlic and celery and carrots. Cook on low heat for 1 hour or until you have a thick sauce. Put in freezer bags. To the basic tomatoes, you can continue on and add any vegetable that you like. I some times add grated zucchini or summer squash into the tomatoes to add extra nutrition and because my family doesn't always want to eat squash and, if it is hidden in the sauce, they don't care if it is there. I use basic tomatoes to make spaghetti sauce, cream of tomato soup, chili or any dish that requires a tomato base. Having this frozen in my freezer in gallon bags, makes making spaghetti very easy. All I do is add Italian seasonings and meat. The sauce only needs to cook for about a half an hour and I have homemade dinner on the table. Same with chili I drain and rinse some beans, cook up some hamburger and add some chili powder and green chilies in a can and then just let it simmer for about a half and hour. I also use this raw which means that I only peel the tomatoes and saute' the onions and garlic for salsa and then add a can of green chilies and freeze. This recipe was from my aunt who lives in Illinois, She would send this canned to us every summer and at Christmas. In talking with her, I found out that this need not be canned and could be frozen. I know it sounds silly but if you are an onion lover like me you will just flip over this recipe. In a heavy Dutch oven or pot cover the onions just barely with water. Add a small amount of salt. Now comes the important part. Bring the mixture to a boil and then lower heat to a simmer with a lid on the pot and cook for a full 24 hours. Yes, I said a full 24 hours. You will need to add more water occasionally but the idea is to slowly caramelize the onions down until they become a thick paste. Cool. Store in freezer bags and freeze. Onion butter can be put on any bread including corn bread. It can be added to mashed potatoes or used as a topping for baked potatoes. It can be used as a condiment for hot dogs or sausages or hamburgers. Small amounts can be stirred into soups or stews. Try this and I bet you will find many more uses. Here is one more recipe that may have to wait until fall but it is well worth it. My grandmother Nellie used to make us the best Apple butter in the world. She would send us a dozen jars at Christmas along with pecans from her own trees. I loved this recipe and before she passed on I got her to give me the recipe. I found that if I add some lemon juice to her recipe it froze just fine. Peel apples and cut into chunks and put into a heavy Dutch oven. Cover with water and cook until the apples are soft. Using a blender or hand mixer blend the apples until they are smooth. Add sugar and spices and let simmer until thick. Add 3 tablespoons of lemon juice. Cool and freeze. I hope like me you will be enjoying the bounties of summer! Editor's Note: Do you have any favorite recipes for preserving summer's bounty? Share them here! Berry season is just around the corner! Teach your kids how to can their very own preserves. The equipment is not very expensive and will pay for itself when you stock your pantry for the winter. 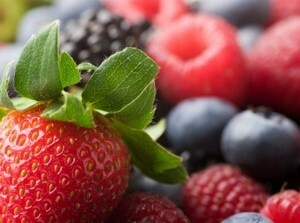 Summer offers a plethora of berries and fruits that are both healthy and tasty. However, sometimes nature's bounty provides more than we can eat. Even at the best roadside stand bargain price, the produce costs too much if it's thrown away.